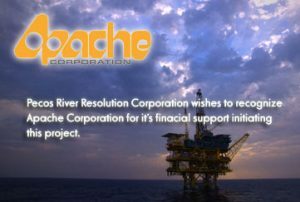 The Corporation has established an Advisory Board of Members who have extensive knowledge of the Pecos River, whose knowledge and endorsement of the Project materially enhances its mission and assurance of success. This will dramatically reduce the time needed to complete the Project and reduce needed funds. The Corporation seeks private funding and will accept no money from any source that does not agree with the structure of the Project. There will be no hidden agendas. Texas Parks & Wildlife has endorsed the Corporation’s project and by, through and under Carter Smith, (biography attached) its Executive Director, has assigned a leading staff member, Timothy W. Birdsong, as it’s representative to the advisory board. Ira was born August 25th 1951 on the Circle C Ranch on the outskirts of an earlier Austin, and raised on the ranch attending Austin schools except for a three year stint grades 7-9 at The Principia outside St. Louis. It was spelunking there (called caving today) with carbide lights where he witnessed the hidden part of the water cycle. Principia is also where he wrote his first term paper on pollution of the Great Lakes. Travels to the Middle East and Europe as a youngster in 1964 departing New York after visiting the World’s Fair and ending with several scholastic weeks in Switzerland helped shape his view of history, culture and economics. Graduating from Crockett High School in south Austin and then pursuing a Mechanical Engineering degree at the University of Texas Ira continued to work on the ranch and eventually took over the operation until 1985 when development pressures pushed the family to sell. A brief interval in Vail Colorado during the proposed Olympic period of the early 70’s exposed Ira to international forums at the Vail Symposiums that dealt with issues related to accelerated population growth and limited resources. The same issues are facing much of Texas and the Southwest today. As a lifelong rancher landowner in the Extra Territorial Jurisdiction of the City of Austin and situated on the recharge zone of the Barton Springs portion of the Edwards Aquifer, Ira has experienced much relating to endangered species , property rights, ranching , urban land development and the economic and environmental consequences of all these things. He was awarded the 1980 conservation rancher of the year award for Travis Hays and Caldwell Counties. A childhood experience while visiting the Yates Pecos Ranch, where his mother Polly Brooks was initiating restoration work to repair damage along the Pecos riverbed leases, left this lasting impression on Ira. He witnessed Leo Richardson a respected rancher, stop the vehicle, get out and pull a Broom Weed, shake it’s roots and toss it aside to die while explaining how these invasive plants coming into the region on the wheels of vehicles were going to change the watershed. Ira and his wife Roxanne, native of Paonia Colorado, together for 20 years, spend as much time as possible in the high mountains of Colorado and Desert Southwest Canyon Country. They have made their home in Austin but now have new intentions of ranging from Iraan on the Pecos River to Paonia on the North Fork of the Gunnison River and to the canyons west of Grand Junction . Their current goal is to have fun, be healthy, enjoy life with their friends, remain curious and give back to their community when appropriate. Paul Laur is an entrepreneur currently working in the Agricultural Biotechnology Industry. He recognizes that fresh water reserves are being depleted at unsustainable rates and is developing alternative solutions. His company, Spartina Biotechnologies, is engineering a native North American plains grass called Prairie Cordgrass to produce “green” chemicals that are used in cosmetics and industrial processes. Prairie Cordgrass is salt tolerant, which makes it particularly well suited for long stretches of the Pecos River where traditional farming using brackish river water irrigation is no longer feasible due to salt buildup in the topsoil. Paul’s other company, Eldorado Biofuels, has demonstrated the economics and feasibility of using produced water from oil and gas production in S. E. New Mexico to grow algae for advanced biofuels and bioproducts. Algae consumes carbon dioxide faster than any other plant, so it can also be utilized to reduce atmospheric levels of CO2; and recycle waste water for industrial uses. Paul sits on the Board of Ponderous Panda Capital Corporation, PPCC – trading on the Toronto Stock Exchange – Venture since 2017. Previously, Paul founded Santa Fe Cider Company; and was the Director of Operations for Anguilla Rums, based in the West Indies. Holding a United States Coast Guard Master Mariner’s license, Paul spent over 25 years sailing a diverse array of vessels from ocean racing sailboats to oil tankers around the world. Paul holds a bachelor’s degree in Nautical Industrial Technology from the California Maritime Academy in Vallejo, CA and a master’s degree in Liberal Arts from St. John’s College in Santa Fe, NM. Michael B. Trost is currently a City Councilman representing District 4 in Midland, Texas. Mr. Trost serves on the Midland Parks and Recreation Board, the Midland/Odessa Urban Transit District Board, the CDBG. Housing Development Committee and is liaison for the City Council to the Midland Development Corp. 4B Board. He attended Hutchinson, Ks. Junior College and Kansas State University, Manhattan, Ks. majoring in marketing and hotel management. Mr. Trost is an experienced entrepreneur with 40 years established experience in management, particularly in the hospitality and restaurant industry. Mr. Trost was instrumental in developing several start-up projects in these industries. He formed Travelers International Programs and Services operating on the west coast from 1969 until 1973. T.I.P.S. was a search and management firm to those industries. He owned and operated Bayou Wadley, a Cajun food restaurant in Midland in the early nineties and is a past member of the Midland Restaurant Association, Midland Cerebral Palsy Board; the National Association for the Education of Young Children; Midland Odessa Council and Permian Basin Licensed Child Care Association. In 1993, he and wife Leanna founded EnviroKids Pre-School & Child Care Center, LLC, an early childhood educational center with over 200 students enrolled. The facility also operates Envir0K.A.R.E. (Kids Area Respite Entrustment), a non-profit classroom for medically fragile children. His penchant for the arts has lead him to volunteer with the Midland/Odessa Symphony & Chorale, onstage and backstage at Midland Community Theater and Summer Mummers and a variety of entertainment venues. Mr. Trost has worked closely with Mr. P. D. Sams for the past few years preparing the tools to launch the Pecos River Resolution Corporation into action. Tim was born in Denison, Texas and grew up on the shores of Lake Texoma. He developed a passion for fisheries and the out-of-doors at a young age while exploring the many rivers and lakes that dominate the landscape of northeast Texas and southeastern Oklahoma. He has a biology degree from Southeastern Oklahoma State University and a master’s degree in fisheries science from Louisiana State University. Tim is currently the chief of the Aquatic habitat Conservation Branch at Texas Parks and Wildlife Department. Programmatic responsibilities include a broad range of natural resource issues including watershed conservation and restoration; assessment of in-stream flows for rivers and reservoirs; endangered species conservation; control of invasive aquatic plants and animals; harmful algal blooms; assessment of water quality and contaminants issues in aquatic systems; and a variety of other topics affecting the health of Texas fisher and aquatic resources. Tim serves on a number of committees including the Executive Committee of the Southeast Aquatic Resources Partnership; Regional Watershed Coordination Steering Committee; Science and Data Committee of the National Reservoir Fisheries Habitat Partnership; and as Chair of the TPWD Golden Alga Task Force. Tim served on the Steering Committee and as Moderator of the 2009 International Golden Alga Symposium; Steering Committee and Session Facilitator for Texas Climate Trends and Wildlife conservation: Planning for the Future; and as reviewer and panelist for various conservation funding programs. Tim has been recognized as NASA Space Grant Fellow and Dean John A Knauss National Sea Grant Marine Policy Fellow. As a biologist, Tim has been involved in studies ranging from the health of striped bass in Lake Texoma, to wetland habitat loss in coastal Louisiana, and food web dynamics in deep-water ecosystems of the Atlantic Ocean. Tim has edited and published a number of articles and technical reports on a variety of aquatic resource topics, and he has disseminated the results of this work to the public and the science community through formal presentations at more than 35 meetings and conferences. Before joining TPWD, Tim was a biologist and program leader with the National Oceanic and Atmospheric Administration in Washington, D.C. where he focused on a wide variety of aquatic science and policy issues at the national level, including protection of essential fish habitat. Johnnie “Matt” White is the Mayor of Eunice New Mexico. He is a retired AIr Force Lt. Col. with 22 years of service. Matt holds a degree in Agriculture Economics from the University of New Mexico and a Masters Degree in Human Resources Management from the University of Oklahoma. He also served 14 years as a Southwest Airlines Captain. Matt has been married to his wife Kay for 44 year and is father to 3 daughters, 7 grandchildren and one great grandchild. Rand French was born in Raton New Mexico where in graduated Raton High School in 1983. He continued his education at Eastern New Mexico University where he received a B.S degree in Wildlife Management and a minor in Agriculture. During the summer of his sophomore and junior years he worked with the New Mexico Department of Game and Fish, where he participated in problem bear capture and release programs, conducted riparian health assessments, water quality /fisheries habitat studies and prepared habitat management recommendation reports. In the spring 1988, he started his resource management career with the Bureau of Land Management in the Taos Field office as a Biological Technician and Wildland Firefighter. After the summer of 1989 he moved to Roswell New Mexico where he got married and began working as a Wildlife Biologist for the Roswell Field Office. After 15 years of government service in resource management planning (habitat management plans, EIS’s, resource management plans and section 7 consultations with the USFWS), he left the Federal Government to begin work in the private sector. In 2004, he began work with Marbob Energy Corporation in the Environmental and Regulatory arena and is now working with Concho Resources as a Regulatory Advisor. 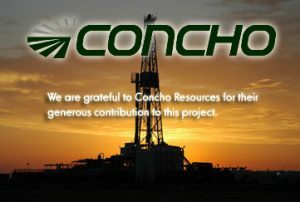 As a representative of the oil and gas industry he has served on regulatory, legislative and environmental committees. He also served as Chairman for the Southeast New Mexico Public Lands committee for seven years. His wife (Terri) is a professional CPA and they have three children. Ryan just graduated from New Mexico Military Institute where he played football and is headed to West Texas State to play and get a degree in Medicine. Cody will be a junior at Goddard High and is a three sport athlete. His daughter Allie will be in seventh grade and loves ballet, dance, volleyball and basketball. Rand enjoys the outdoors and is a professional big game hunting guide in Southeast New Mexico. He also takes time to go the lake with family and friends. P. Lourcey Sams is a co-founder of the Brazos Valley Water Alliance, LP, (the “Alliance”). He has served as the CEO of the Alliance since inception in 2002 to 2005 and currently serves on the Board of Managers for the Alliance and as Director of Marketing. In addition to his position with the Alliance, Sams also serves as the President of Pennant Development and Production, LLC an oil and gas acquisition and operation firm. Since 1988, he has also served as President of Banner Energy, Inc., which is an administration entity for numerous limited partnerships and joint ventures engaged in exploration and production. Sams is also involved in a number of ventures involving municipal water, real estate, oil and gas and finance. Sams is currently serving as a member of the City Of Midland Parks and Recreation Advisory Board and is a member of the American Association of Petroleum Geologists, the West Texas Geological Society, the Financing Exploration and Production Association, and the American Association of Professional Landmen. He formerly served as a member of the Interstate Oil and Gas Commerce Commission, the Midland Chamber of Commerce Government Affairs Committee, and as a board member of the West Texas Multiple Sclerosis Society, the West Texas Hunting Retriever Club and Midland United Girls Softball Association. Sams graduated from Austin College in Sherman, Texas in 1977, and currently resides in Midland, Texas. After graduation he was employed by Amoco Production Company from 1977 to 1982. J.P. “Pat” McDaniel has been the Executive Director of the Haley Memorial Library and History Center in Midland, Texas for the past 23 years. The Haley Memorial Library and History Center is an archival repository and research facility focused on the development of the range cattle industry of the southwestern U.S. The 67-year-old native Midlander graduated from Midland High School in 1968. He attended Texas Christian University and returned to Midland in 1974. Prior to his non-profit experience he had over 24 years’ experience in management of retail businesses. He serves as chairman of the Midland County Historical Commission and holds membership in the Midland County Historical Society. He served as an appointee of Gov. Rick Perry on the Texas Historical Records Advisory Board at the Texas State Library and Archives in Austin. He also serves on the Advisory Board of the Linebery Policy Center at New Mexico State University at Las Cruces, New Mexico that deals with environmental policies and land management issues for the range cattle industry. Pat and his wife Ann have one son and three granddaughters. They attend Bellview Baptist Church in Midland, raise registered Texas Longhorn cattle and enjoy country life at their northwest Midland County home. Mr. Angelo has over fifty years’ experience in the oil and gas industry. He received a BS degree in Petroleum Engineering from Louisiana State University in 1956. After six years with Gulf Oil Corporation in Crane and Midland, Texas, Mr. Angelo joined Sohio Petroleum, also in Midland, from 1962 to 1964. Mr. Angelo partnered with Don Sparks as founding President Discovery Operating, a position he left after being elected mayor of Midland in 1972. Since 1964, Ernest Angelo, Jr. has been an independent petroleum engineer. Currently, Mr. Angelo is managing partner of Discovery Exploration involved in investing in oil and gas exploration and production. Mr. Angelo is a member of Pi Epsilon Tau and Tau Beta Pi Honorary Societies, Society of Petroleum Engineers, Society of Professional Earth Scientists, and the Texas Society of Professional Engineers. He served as Permian Basin president and state director of the latter group. In 1973, he was named Permian Basin Engineer of the Year. He was appointed to the National Petroleum Council by three consecutive secretaries of energy. In 1996, he received the National Public Service Award from the Society of Petroleum Engineers. In 2008, Mr. Angelo received the John Ben Sheppard Leadership Foundation Texas Leader Award. Ernest Angelo, Jr. has had a lifelong interest in government and politics. Mr. Angelo server four terms as mayor, retiring in 1980. During his tenure, Midland experienced substantial growth and an increase in city facilities and services while achieving the lowest tax rate among Texas’ 25 largest cities. In 1976 and 1980, he was co-chairman and chairman , respectively, of Ronald Reagan’s presidential campaign in Texas. In both years, Reagan carried Texas with large majorities and in 1980, Angelo was the volunteer Campaign Manager for Reagan’s landslide Texas victory. Angelo was Republican national committeeman for Texas from 1976 to 1996. More recently, Mr. Angelo served on the Texas Parks and Wildlife Commission as an appointee of Gov. George W. Bush. This March, he completed a term as Chairman of the Texas Department of Public Safety Commission, a position to which he was appointed by Gov. Rick Perry. Mr. Angelo has served on the Coordination Board, Texas College and University System, appointed by Gov. William Clements. Mr. Angelo and his wife Penny are parents of four children and grandparents of six. They are members of St. Ann’s Catholic Church, where Penny sings in the choir and Ernest is a past president of St. Ann’s School Board and past member of the Parish Council. Founder of the law firm M.Henrie | Land Water Law, Michelle Henrie is a project development attorney, focusing on water law, land use, real estate, environmental law, and development of natural resources. Ms. Henrie’s work involves all phases of development projects: acquisition, strategy, working with permitting agencies, and resolving disputes and appeals. Her energy projects include biomass, algal biofuel, geothermal, and energy storage. Ms. Henrie is ranked among top New Mexico lawyers in the category of Environment, Natural Resources & Regulated Industries by Chambers USA. Governor’s Blue Ribbon Water Task Force, 2007-2010. New Mexico Chapter of NAIOP (Commercial Real Estate Development Association), Board of Directors, 2007-2010, Secretary, 2009-2010, Chair, Government Affairs, 2008-present. Lambda Alpha International, 2010 to present. New Mexico First (a 501(c)(3) nonprofit), Board of Directors, 2007-present, Vice Chairperson, 2009-present. Water Resource IMPACT, news magazine of the American Water Resources Association, Associate Editor and Columnist for Law and Policy Column, 2004-Present. Urban F. (Obie) O’Brien, III, Director of Governmental Regulatory & Community Affairs for Apache Corporation, joined the company in 1992 after five years as governmental affairs manager for Mitchell Energy. During his tenure, O’Brien has represented Apache in legislative and regulatory matters on the federal and state levels. Additionally, he serves as liaison to industry groups statewide and nationally. Previously, O’Brien was special projects director for U.S. Sen. Lloyd Bentsen, as well as projects coordinator for U.S. Congressman Michael A. Andrews and the 25th Congressional District of Texas. O’Brien has received several awards during his career. He also serves and has served on various boards and committees. O’Brien holds a BS in History and a Doctor of Jurisprudence from the University of Texas at Austin. Russell S. Johnson, partner with Mcginnis, Lochridge & Kilgore, L.L.P., focuses his practice on water law, including representation of landowners, businesses, mineral owners and developers in all matters involving water. He has a strong background in transactions involving water and in advocating and negotiating for clients before legislative bodies, administrative agencies, and both state and federal courts in the water law area. Served as counsel for the City of San Antonio in Sierra Club vs. Lujan and Sierra Club vs. City of San Antonio. Participated in developing state legislation for management of the Edward’s Aquifer and represented the City in development of SB-1 and SB-2, the legislature’s efforts to update the Texas water law. Represented the City in Texas River Barges vs. City of San Antonio challenging the City’s right to franchise Riverwalk boat rides. Represented the Guitar Family in Guitar Holding Co. vs. Hudspeth County Underground Water District: decided favorably to the family in 2008. Represented clients in all manner of water rights issues, including conveyance and regulatory compliance. 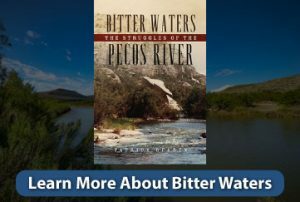 The author of twenty books, Patrick Dearen is a recognized authority on the history of the Pecos River country. Born in 1951, Dearen grew up in Sterling City, Texas, and earned a bachelor of journalism from The University of Texas at Austin. In six years as a reporter for daily newspapers in Texas, he received nine national and state journalism awards. His respected series of books on the Pecos country include Castle Gap and the Pecos Frontier, Portraits of the Pecos Frontier, Crossing Rio Pecos, A Cowboy of the Pecos, Halff of Texas, and Devils River: Treacherous Twin to the Pecos, 1535-1900. Through his books The Last of the Old-Time Cowboys and Saddling Up Anyway: The Dangerous Lives of Old-time Cowboys, he has also preserved the stories of the last generation of cowhands who plied their trade before mechanization along the Pecos and elsewhere. Dearen’s four children’s novels, including On the Pecos Trail, have introduced young readers to the rich history of the river and surrounding area. His newest adult novel, To Hell or the Pecos, is set on the Pecos of the 1880s. Dearen has been published by presses at Texas Christian University and Texas Tech University, as well as by national houses such as Simon and Schuster. He has been honored by Western Writers of America, San Antonio Conservation Society, Will Rogers Medallion Awards, West Texas Historical Association, and Permian Historical Association. An outdoors enthusiast, Dearen has backpacked the headwaters of the Pecos and canoed its lower canyons. He makes his home in Midland with his wife Mary, managing editor of the Midland Reporter-Telegram. Jim Berlier is a rancher and soil/water conservationist. He studied at New Mexico State University, and Jim and his wife Vicki own and operate a cow-calf and yearling operation in Estancia, New Mexico. He is currently a board member on the East Torrance Soil and Water Conservation District and the president of the New Mexico Association of Conservation Districts. Jim began implementing these conservation practices to improve the condition of his rangeland and increase plant diversity. Jim Berlier has produced a series of conservation videos available online at westernlandowners.org/films/ on the Western Landowners Alliance (WLA) website. Jesse Juen, a wildlife biologist, is a retired State Regional Director [NM,TX,OK,KS] of the Bureau of Land management (BLM), and in his collaborative efforts with rancher Jim Berlier, attends water conservation meetings throughout the state of New Mexico. Jesse Juen is a colleague & friend of director Jim Berlier on the Pecos River Restoration Project; an Advisor to the Western Landowner’s Alliance, and has been supporting production of Jim Berlier’s online video series that spotlight range and grasslands soil & water conservation efforts. Jesse serves as Public Lands Foundation state representative for NM and Project Manager for the New Mexico Association of Conservation Districts. Jesse Juen never dreamed he would work for the Bureau of Land Management (BLM) while attending Texas A&M University and Texas Tech University. His goal was to manage a large game ranch in Texas. He exceeded his dreams tenfold by working with land users, local communities, and other partners in managing BLM’s public land. He started his public service career as a Biological Technician with the U.S. Forest Service transferring to BLM in 1981. Jesse was a Wildlife Management Biologist in southeast New Mexico specializing in endangered species management and land-use planning for nearly 8 years prior to entering the management field. He was an Assistant Area Manager in Kingman, Arizona, and a Field Manager for the Tucson Field Office. Jesse’s position, prior to his arrival in New Mexico, was the Group Manager for National Conservation Areas and National Monuments within the National Landscape Conservation System in Washington, DC. He served as the Associate State Director for New Mexico, Oklahoma, Texas, and Kansas since 2003 and was sworn in as State Director on February 16, 2012. He retired as State Director in January 2015 but stays involved in land resource matters. Jesse’s professional focus has been in the area of collaboration in particular with special interest groups, private landowners, citizens, industry, local communities, and governments in land-use planning, management, and restoration of land health. He currently serves as an advisor for the Western Landowners Alliance and Resource Conservationist with the New Mexico Association of Conservation Districts. As a result of successes he has experienced over the years, Jesse believes that the Natural Resource Agencies, industry, landowners and the public have a bright future full of opportunities to accelerate land conservation management in concert with meeting the needs of the Nation and our communities. Jesse and his wife Maggie have two sons, Robert and Michael. He enjoys hunting, fishing, wood cutting, hiking, backpacking, gardening, cooking, reading, and habitat restoration of his property in Cibola County, New Mexico. John D’Antonio is a registered professional engineer in New Mexico with a BSCE from the University of New Mexico. His first 12 years with the U.S. Army Corps of Engineers (Corps) began as a hydraulic design engineer, leading to the Chief of the Hydrology, Hydraulics, Sedimentation, & Floodplain Management Program. The next 3 years he served as a project manager for MILCON and Civil Works projects. D’Antonio was recruited as a Water Resources Manager for the Office of the State Engineer (OSE) in 1998 and managed the largest District OSE Office for the next 3 years. From 2001 to 2011 he was appointed under 3 different Governors serving in the roles of: Director Water Resource Allocation Program (OSE); Cabinet Secretary of the New Mexico Environment Department; and New Mexico State Engineer/ Secretary of the Interstate Stream Commission (OSE). He was a member of the Governors’ Blue Ribbon Task Forces on Water Issues from 1998 to 2011. D’Antonio’s vast experience in building coalitions with state and local governments, federal agencies, private sector organizations and individuals, and sovereign nations led to negotiating 3 complex Tribal water right settlements. The settlements resulted in certainty of water rights for Indians and non-Indians and nearly $2 billion of water infrastructure projects. During his tenure as State Engineer, D’Antonio was Secretary of the Interstate Stream Commission, Chairman of: the Water Trust Board; Governor’s Water Infrastructure Investment Team; and the Governor’s Drought Task Force. He also served as the New Mexico Commissioner to the Rio Grande, Costilla, and Upper Colorado River Compacts. D’Antonio returned to the Corps in 2011 as the Deputy District Engineer for Planning, Programs and Project Management Albuquerque District (SPA). He has overseen the new SMART planning initiative, established a new Los Alamos Program Management Branch to support the growing NNSA design/construction program, and helped establish the Corps’ Tribal Nations Technical Center of Expertise in SPA. He has overseen major MILCON design/construction at several Air Force bases as well as SRM and environmental work – focusing on timely and cost efficient execution. He actively participates in regional management boards and working groups in support of overhead rates, acquisition strategies, project execution and work load and work force balancing. D’Antonio served as the Programs Director for the Corps’ South Pacific Division in 2016, driving program delivery in Military Construction, Veterans Affairs Construction, and Civil Works, valued at nearly $3 billion – as well as serving as the Executive Engineer for 3 MEGA projects. He also furthered opportunities for the Corps’ involvement in Public, Private Partnerships (P3) involving existing and future projects. For the last 5 years D’Antonio served as the Corps’ representative on the Western Federal Agency Support Team (WestFAST), which works in conjunction with the Western StatesWater Council (WSWC) in support of theWestern Governors Association (WGA) on complex water related issues. For the last several years D’Antonio has been very active in supporting community events and STEM activities in his roles as: University of New Mexico (UNM) Civil Engineering Advisory Board; External Advisory Committee for National Science Foundation CREST Center for Water and the Environment; Implementation Chair for NM First town hall on Water Planning, Development and Use; Board of Directors for Leadership New Mexico; Board of Directors for NM First. D’Antonio is most proud of his Agency’s (OSE) recognition award in 2010 from Quality New Mexico which utilized Baldridge criteria to evaluate performance excellence for implementing quality improvement processes. He was also recognized in 2015 with the “Spirit of Bipartisanship Award” by NM First for exceptional leadership contributions to NM government and community. John and his wife Cassandra live in Albuquerque’s North Valley with their golden retriever Rio and enjoy traveling, gardening, playing golf and hiking along the Rio Grande.